Ashley Shaw as Victoria Page. Photo by Johan Persson. This fall, Matthew Bourne's New Adventures presents the U.S. premiere of a fresh take on an old classic. 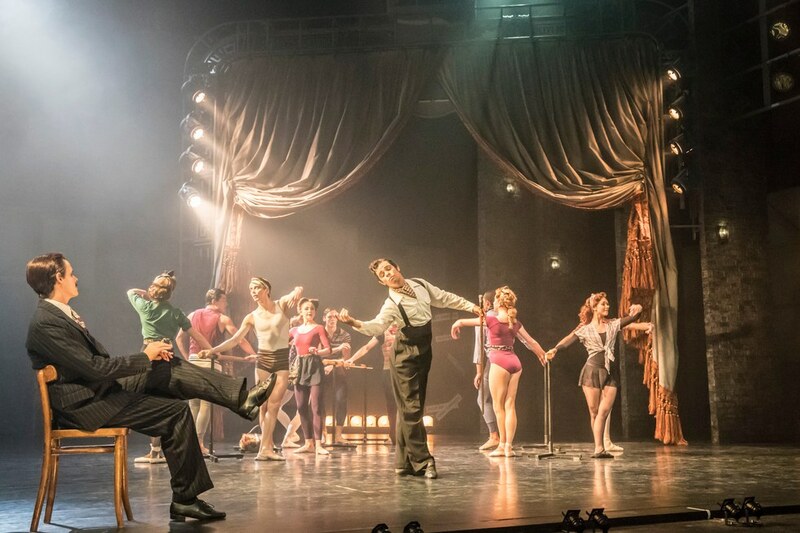 The Red Shoes, based on a Hans Christian Andersen fairy tale and an Academy Award–winning film, tells the story of Victoria Page, a dancer obsessed with passion and ambition who winds up in a triangle involving two men invested in her career. Following sold out performances in London and across the UK, the upcoming U.S. tour will share this exciting new work with audiences across the country. The Red Shoes will open at the Ahmanson Theatre in Los Angeles this week with performances from September 15 through October 1, and then tour the country through November with stops at the Kennedy Center (October 10-15) the Blumenthal Performing Arts Center in Charlotte, North Carolina (October 17-22) and New York City Center (October 26-November 5). American Ballet Theatre principal Marcelo Gomes will join the tour in the role of the composer Julian Craster, which he'll share with New Adventures' dancer Dominic North. The City Center stop brings the addition of another New York ballet star, New York City Ballet's Sara Mearns, who will alternate with New Adventures' Ashley Shaw in the role of Victoria Page. While in New York, Bourne and members of the company will also teach a master class workshop at Steps on Broadway (October 30, November 1, 3). Sam Archer as Boris Lermontov and New Adventures company members in "The Red Shoes." Photo by Johan Persson, Courtesy of New Adventures.